Enjoy light tackle fishing paradise with Fishing Charters in New Smyrna Beach. 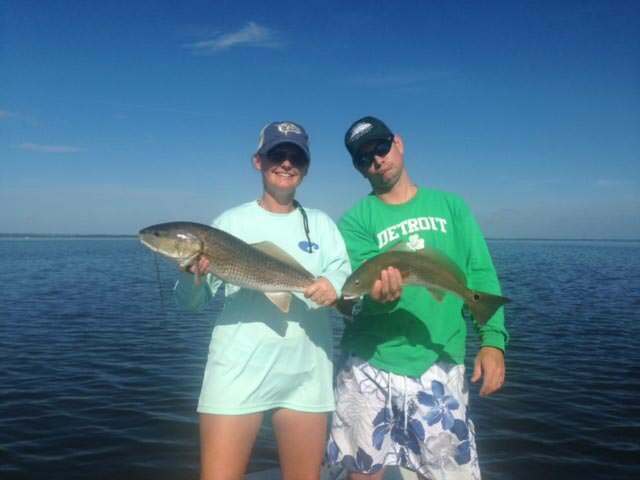 With more than 30 years of experience East Fla Fishing Charters and Captain Gary will teach you where, when and how to catch a wide variety of fish including Kingfish, Grouper, Speckled Trout Tarpon, Snook and Snapper. Fishing Charter options in New Smyrna Beach include inshore or near shore with both full and half day options. Our 7’ Pathfinder Tunnel Flat Boat or 22’ Ranger Bahia Bay Boats are perfect for groups of 2 – 5 people. Pricing begins at $350. Complete pricing information. Contact us today to book your New Smyrna Beach Fishing Charter trip.